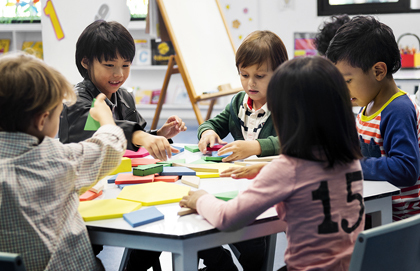 Andrea Mrozek: The Governor of the Bank of Canada, Stephen Poloz, recently said Quebec’s childcare model could unleash untapped labour potential in this country. He’s perhaps unfamiliar with the research about the effects of daycare on children and families, but he can’t be unfamiliar with the concept of good childcare being expensive. As an economist, what kind of calculations do you suppose he is making? Stephen Lehrer: I think the comments go along with the general mood in politicians’ public policy discussions of pushing toward more gendered policies, which are on the rise in Canada. One of the challenges with some of the quotes I read is that if you are pushing moms back in the labour force, it’s not like there are more jobs being created. (Poloz) understands, I’m sure, what the concept of full employment is. If people are re-entering the labour force, they are probably crowding out someone else, most likely new graduates from universities. I know there are certain messages that people like to hear, and this is just exactly how I started in this area. Intuitively, I couldn’t think about why early childhood education would not be effective. But now after working in this, I can see why. Child development is a very, very complicated process. There are many inputs from parents, peers, schools, and we don’t have a really great understanding of what the effectiveness is of these different inputs, as well the different effects these inputs may have on different children. Andrea Mrozek: You’ve come to see universal childcare quite differently, haven’t you? How has your thinking changed, and what changed it? Steven Lehrer: I’m actually at a conference where the conference slogan is “evidence-based.” Everyone gets a badge that says that. That’s my main view when we are developing policy: if there is high-quality evidence it should help guide policy and help inform how we should redesign policy. I got interested in universal child care when Michael Baker came to Queen’s and presented his joint work with Kevin Milligan and Jon Gruber, which found that the Quebec childcare program, the access to universal, subsidized child care there, led to declines in a host of child developmental outcomes as well as family outcomes. I’ll be quite honest: I didn’t believe the results. I thought they would come out the other way. I had a really talented Master’s student, Michael Kottelenberg and so I convinced Mike to see if he could replicate the results. This has now led to four peer-reviewed published papers as well as two more papers in their final stages. The main result we found was that Baker, Gruber and Milligan’s work is 100 per cent correct. It’s robust. If anything, in our own work, including a paper that came out in Canadian Public Policy and won “best paper award” for that year, it actually finds the effects get larger over time, on average. A lot of the critics say, “this is the effect of access to child care, it’s not really the effect of child care itself.” We did some analysis that makes strong assumptions, and we find that the effects of attending childcare are also negative. I think the key messages, which should be informing policy, are that quality matters and there is a lot of heterogeneity. Jim Heckman, who is a Nobel prize winner in economics, has talked about how early childhood education and care can both promote equity and efficiency but he is focusing this message on targeting the disadvantaged, not for everyone. In fact, in the paper that Mike Kottelenberg and I just had published last year in the Journal of Labour Economics, we actually can explain this heterogeneity because we are finding there are large gains to universal child care for kids in the lower part of the distribution from single parent households, but for most kids in the middle of the distribution from two-parent families, we are getting these negative declines. It’s not that universal childcare is effective or not effective, it’s effective for some, but not for others. We have another paper now where we are looking at this more formally to try to provide the first causal evidence along those lines. But in a couple of our papers these associations exist. There’s other work, not by us, but also by psychologists like Christa Japel and Richard Tremblay that have shown the quality of these childcare centres is not that high. When this program was introduced, they didn’t immediately expand the number of childcare settings. It’s well known there are wait lists. But one of the surprising findings is that the effects got more negative as more centres were created. What’s happening, if you look at the reports about the quality of these childcare centres, is that the quality is not super high. AM: I was aware of the Japel report saying the quality was not high in Quebec. Typically proponents of universal daycare rank Quebec as the best in the country, but one recent report showed Quebec had slipped and no longer took top spot. If the quality of care was mediocre before and now Quebec is slipping, what is it becoming? SL: That’s one of the challenges. I don’t think that the message that should come out of this is so much that childcare doesn’t work. It’s that if you are going to go into child care policy, you either have to target it appropriately or you are going to have to invest so much to ensure it’s high quality. This high quality aspect is also really important from an equity standpoint. Typically, more educated parents have more information, on average, about the quality of childcare. So if they are sending their children to better centres, and less educated parents are ending up sending their kids to lower quality centres, you are actually just increasing inequality. So from an equity standpoint, this quality message is really important. AM: How would you respond then, as an economist, to this: Canada is a wealthy nation. Could we not just put billions and billions into a universal daycare plan and have it truly be high quality? Do you see any costs and benefits associated with that? SL: We’ve seen the lessons from Greece, and the challenges they had when the bondholders kick in. Our deficits and debt keep rising. I think we have to think about the most effective uses of our funds. Are we going to get the biggest bang for our buck from investing in childcare? Probably not. There are probably other areas that the government could spend funds on, which may actually have larger returns. I think they need to sit down and think about what the other options are, which will give them the biggest bang for their buck as opposed to which will give them the most votes in the next election cycle. AM: I’m fascinated by your research showing a gendered response to daycare in Quebec. The boys apparently do less well. Could you talk about that more? For Canada to remain competitive in the coming years, despite all the current rhetoric around trade wars etc. we must recognize it’s a much more global economy. SL: That is the piece forthcoming in the next issue of the Canadian Journal of Economics, probably next month. It was something that surprised us. Before we started to look at the distributional effects, we tried to look at differences across child characteristics such as child age as well as child gender. What we found was that the lion’s share of the negative effects in the program were actually coming from the boys. The negative effects were larger for boys. Exactly why this is so is really hard to pinpoint. But these gender differences are important to know. And these gender differences are also somewhat different from what people found in the small-scale studies in the U.S., Perry Preschool for example. In Perry Preschool, I think it was more effective for boys. This may have to do with the types of jobs these boys got later in life. We are just finding early on there are larger developmental consequences. Again, there is a big difference in parental inputs based on child gender that we observe, and there are also different parental responses once the child has access to subsidized child care. Maybe we should have daycare centres that target kids aged zero to one, and another centre for two to threes, and another centre for four year olds. We don’t know if age streaming would be more beneficial. There’s a lot that can be done within the existing framework. For a policy where governments are spending billions of dollars there is lots of evidence out there. The Baker, Gruber, Milligan paper also won several best paper prizes. This is high quality work that government should pay attention to. It’s out there. It’s easy to access. It should not be ignored. AM: Besides Baker, Gruber and Milligan, who else in Canada is interested in this topic and doing good quality research? SL: At the Université du Québec á Montréal there is Philip Merrigan and Pierre Lefebvre. There is Catherine Haeck and Pierre Fortin. He’s doing more work along the lines of asking whether, with moms going back to work, the taxes they pay cover the costs of the program. It’s more fiscally oriented. I don’t think the debate on childcare really should be about fiscal considerations as much as it should be about human capital development. For Canada to remain competitive in the coming years, despite all the current rhetoric around trade wars etc. we must recognize it’s a much more global economy. Firms now cross borders very easily, mostly based on tax rates. Individuals also will probably be crossing borders quite frequently. Lots of people from my own university class don’t work in Canada. They work all over the world. So I think it’s about trying to produce exceptionally talented workers, and getting them off to a good start. What’s the best way to go about doing this? The other big lesson is that this is really about early care more so than early education. AM: I think it was Pierre Fortin who said the Quebec system pays for itself. That was splashed all over the headlines. Is that based exclusively on taxes, and not on child outcomes in the long term? SL: It’s a strictly fiscal calculation as far as I could see. It also ignores the fact that if the moms are getting this job, are they crowding out someone else from getting the job. Maybe now new graduates aren’t getting work. It’s just basically looking at what’s been increased in the maternal labour supply, what is the increase in taxes collected from these people, and how does it offset the costs. AM: I like to try to find the middle ground. I think you’ve mentioned some concepts that find a middle ground. For example, everyone thinks that early learning and childcare are very important. If we are to find some compromise point on policy pertaining to daycare, early learning and child care, what would you say that is? SL: I think targeting is going to be very important in the coming years, and focusing more on quality. So the discussion right now is strictly on the quantity measure: let’s provide lots and lots of child care. I think what we should be thinking about is how can we provide high quality childcare to those who would benefit the most from it. And then we could see how fast we could scale this up. And I don’t think we should be able to expect that we can scale this up rapidly. Even when we take going to a doctor or going to Weight Watchers, there are different effects for different people. We need to target those who would benefit that most. Dr. Lehrer teaches economics at Queen's University.